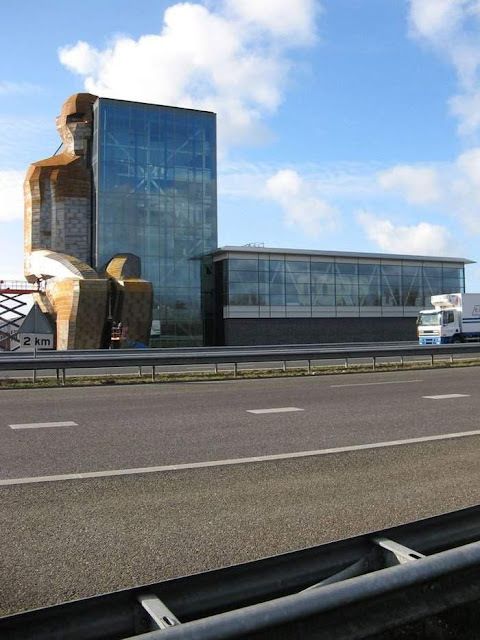 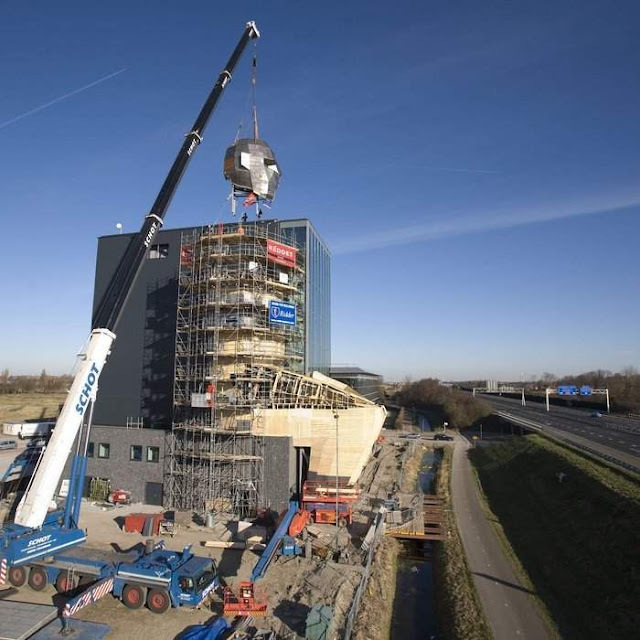 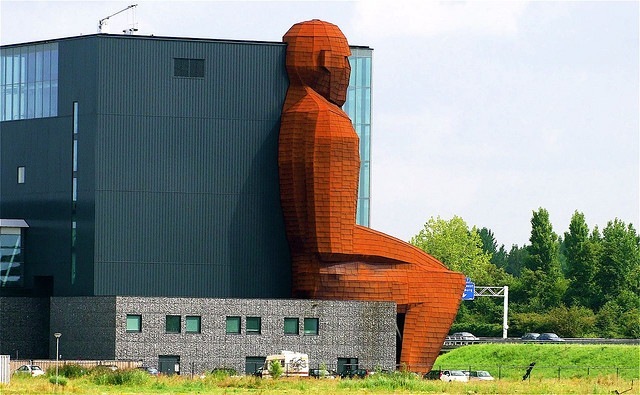 The "Corpus" building is seen in Oegstgeest, 35 kilometers (21 miles) southeast of Amsterdam, Netherlands. 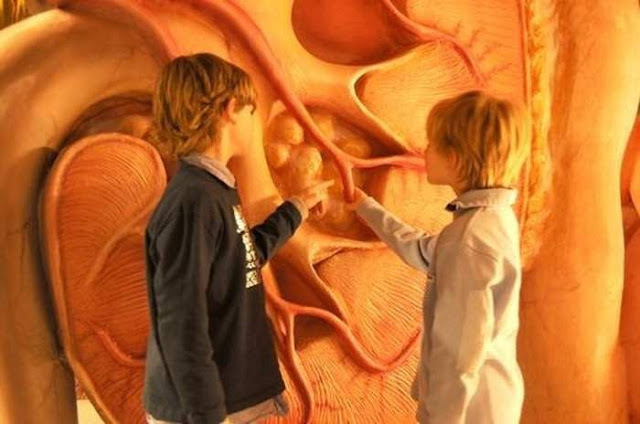 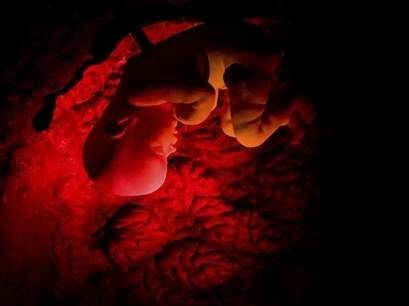 "Corpus," a new attraction in the Netherlands, are hoping that a combination amusement park and health education museum will encourage kids to take better care of their own bodies. 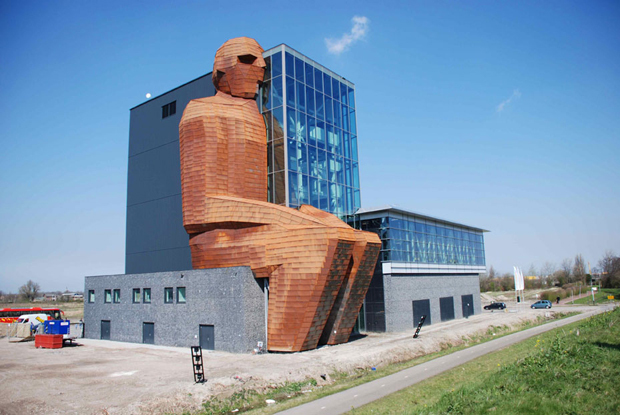 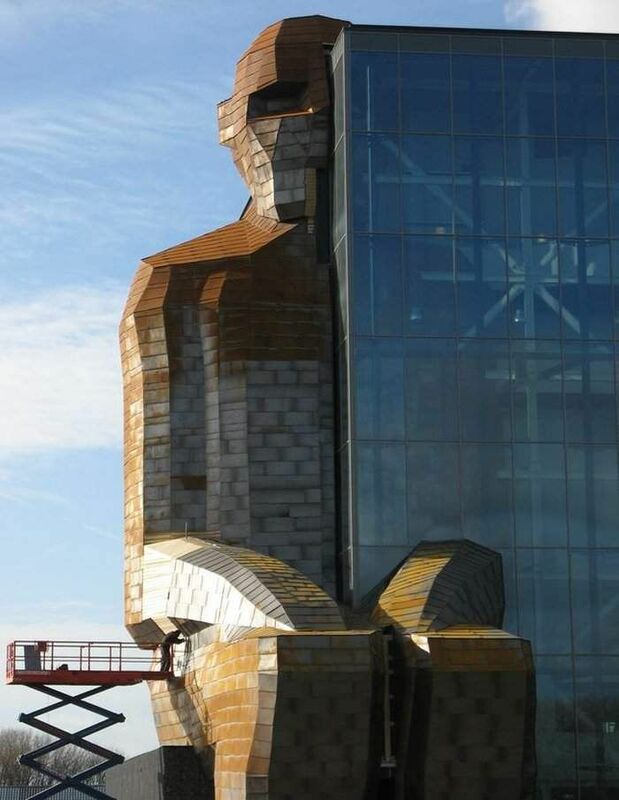 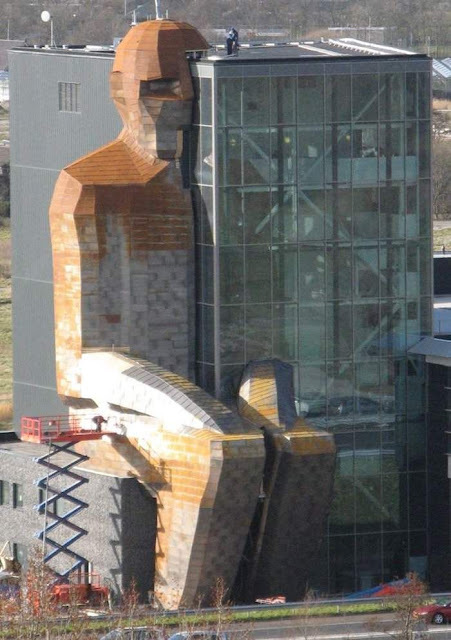 The building incorporates a 35-meter (115-foot) high seated human figure into its structure. 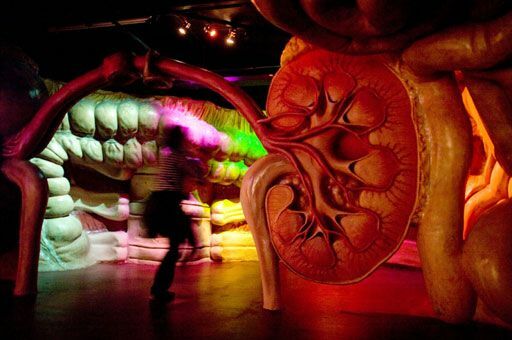 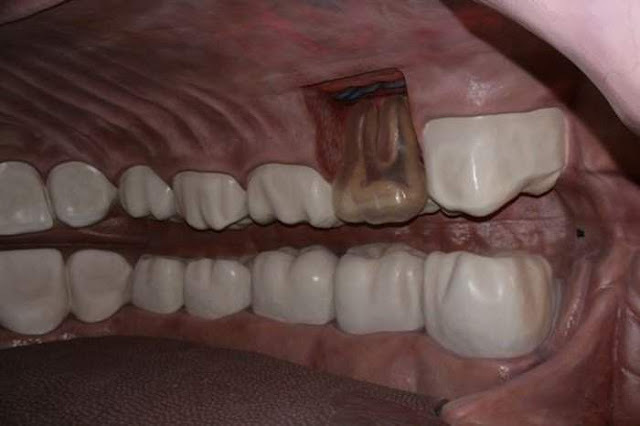 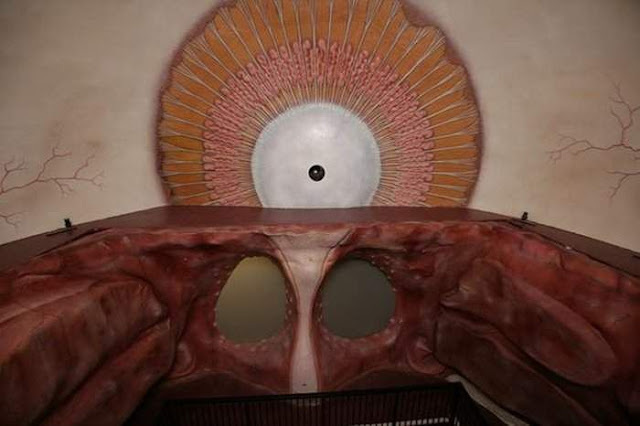 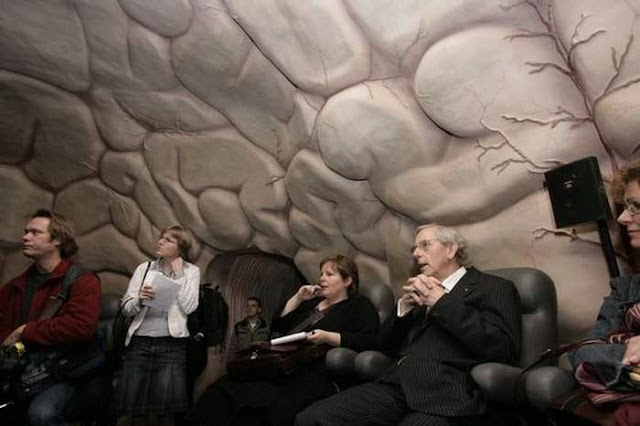 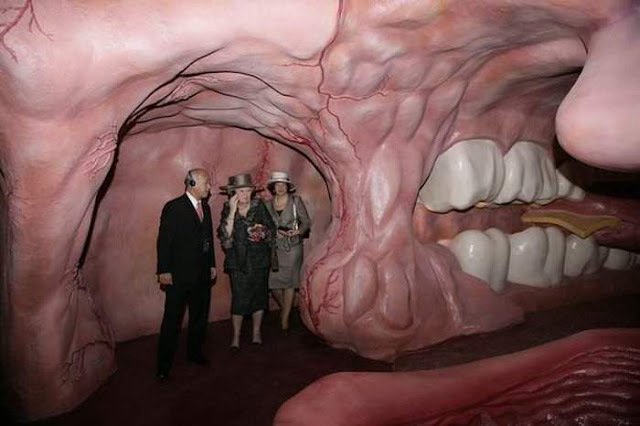 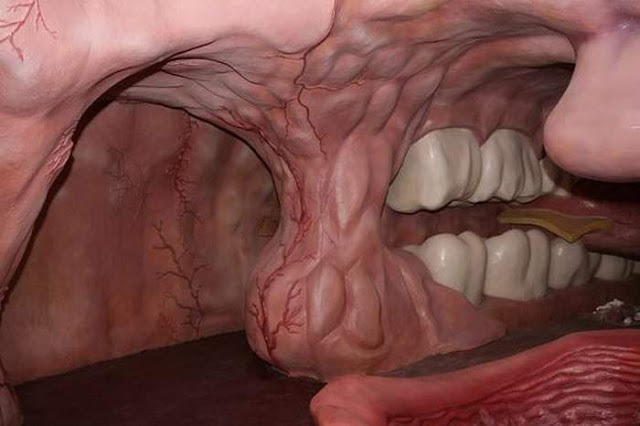 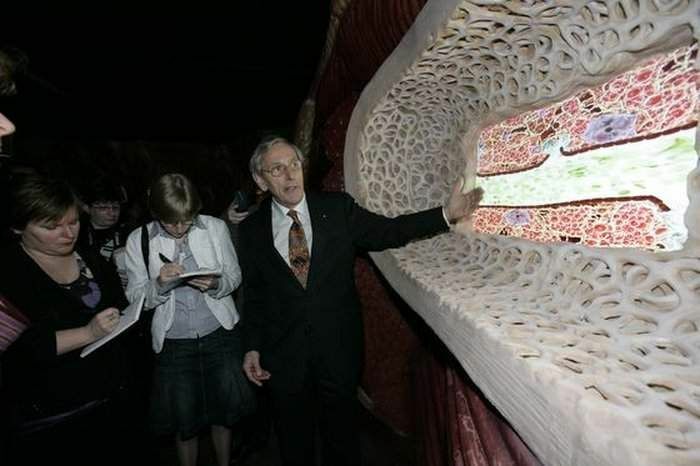 All the walls and halls are modeled with fiberglass to resemble the inside of a giant human body, giving visitors the sensation of being shrunk down to a tiny scale. 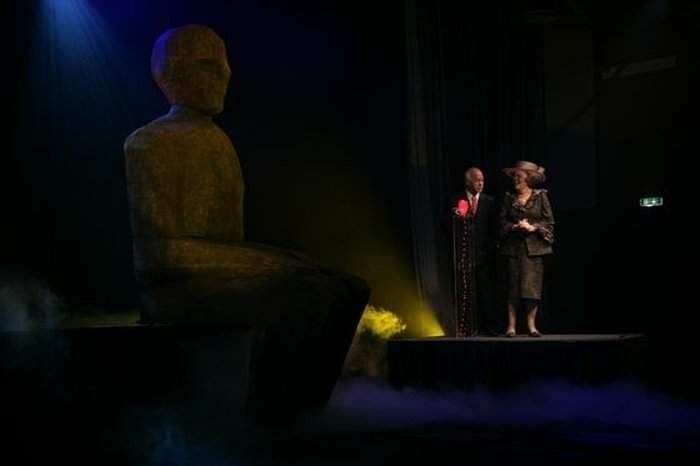 Majesty Queen Beatrix opened CORPUS on March 14th 2008. 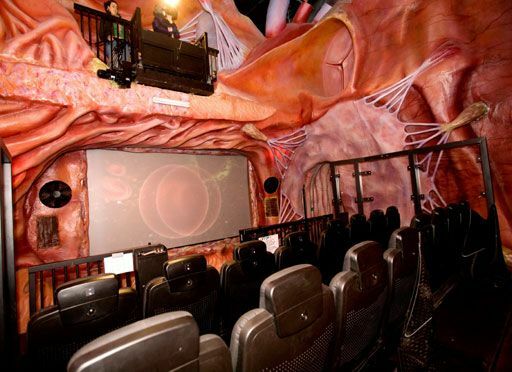 CORPUS is a spectacular experience around the human body during which the visitor can see, feel and hear how the human body works and what roles healthy food, healthy life and plenty of exercise plays. CORPUS offers a variety of information and provides education and entertainment with this journey as well as a vast number of permanent and variable exhibitions.